EUFA calls for status quo on quota shares. 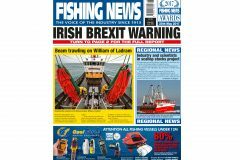 An Irish fishermen’s leader is warning that UK gains after Brexit will be at the expense of the Irish industry unless urgent action is taken. He also stresses it is ‘crucially important’ that Ireland’s £1billion fishing industry must be made a top priority for the Irish government as Ireland faces ‘the enormity of Brexit, and the withdrawal of its nearest neighbour from the common market’. Killybegs Fishermen’s Organisation chief executive Seán O’Donoghue said: “Brexit is potentially disastrous for the Irish fleet, in particular, concerning three key issues of access to waters, quota share and trade. 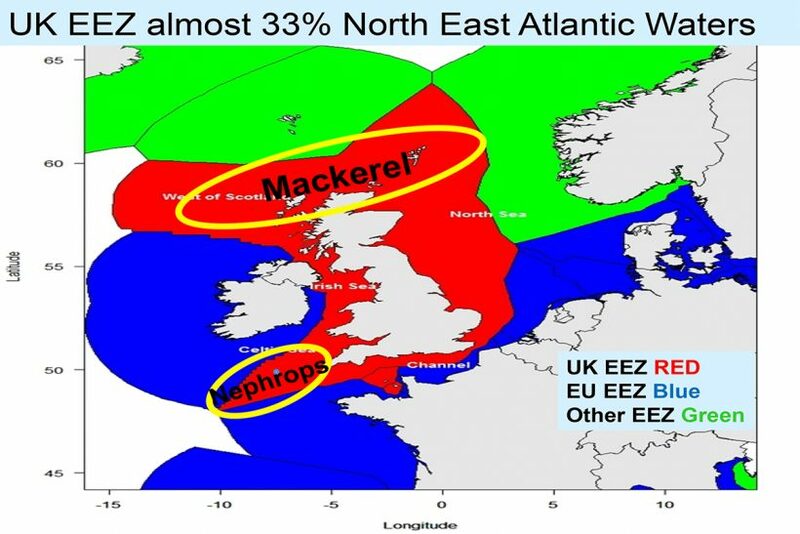 Our two biggest fisheries, mackerel and Nephrops, are inextricably linked to Britain. He said the fleet in Killybegs and the wider Irish industry faced ‘devastating consequences’ if the Irish government fails to make fisheries a top priority in Brexit negotiations. 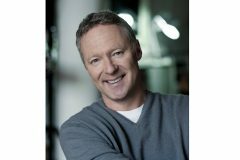 The KFO chief said the Irish seafood industry sustains 11,000 jobs in coastal areas and is worth just over €1billion. Map outlining key fishing grounds, of which almost 33% lie within the UK EEZ. Seán O’Donoghue said that the UK election called for 8 June had placed further obstacles and challenges in the way of immediate negotiations around the form Brexit will take. He said: “Before Theresa May’s government was dissolved it was advocating calls to ‘repair what went wrong in 1973’, which means Britain will be fighting for higher quotas and endeavouring to take the metaphorical fish off our plate. He also highlighted the value of Irish seafood exports to Britain, which in 2015 alone were worth €71m. “While our counterparts in Europe are understandably concerned about the ramifications of Brexit, our geographical location, existing arrangements and high dependency on Britain mean that we are perilously positioned if our government doesn’t negotiate extremely effectively on our behalf,” he said. Seán O’Donoghue also pointed out that nine EU countries hit by Brexit – including Ireland – had formed the European Fisheries Alliance (EUFA) coalition and ‘set aside any internal grievances regarding the CFP to present a united front to lobby to protect the industry’ (Fishing News, 6 April, ‘EU gangs up to hit UK fisheries Brexit’). The EUFA accounts for approximately 18,000 fishermen with an annual turnover of €20.7 billion. He said the current 1983 CFP agreement on TAC shares and relative stability had been ‘the foundation of European fisheries for over 30 years’. This quota distribution took into account both historical practices and specific local considerations. “Fisheries-dependent communities were offered preferential treatment for allocation keys; and, in fact, both the UK and Ireland benefited from such a clause, which further demonstrates the complexity of the relationship between Ireland, the UK and Europe in fisheries terms, and the fact that a clean break is neither desirable nor possible,” concluded Seán O’Donoghue. Have you got your ticket to the Fishing News Awards 2017?